SSS mothers & fathers blog hop! 5 stamp sets, 8 die sets, 3 stencils and 6 collection sets to make shopping easier! Seriously stunning and there might just have been some happy squeaks when I saw these sets LOL! So lets crack on with the hop, if you’ve just popped in here by chance then it would be great if you took a moment to start at the Simon Says Stamp Blog and follow the hop from the start :) If you’ve been happily hopping along then you should’ve arrived here from Jennifer McGuire – I seriously don’t quite know how so much awesomeness is packed into one person! I can’t wait to see what she’s made :) Right, on to my cards for today. I’m using the new Love Mom stencil paired with the Mother’s Day stamp set and I had such fun I couldn’t stop at one card so made two! 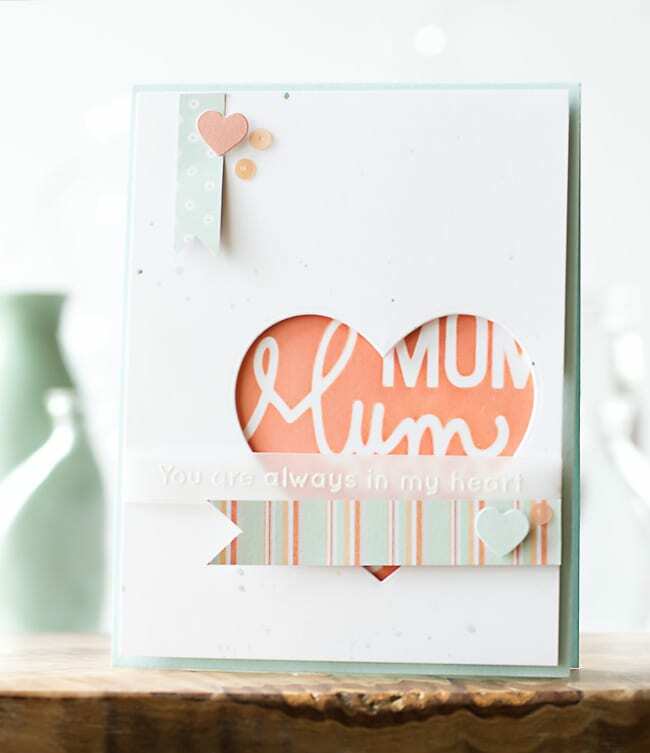 For my second card I thought I’d play on the ‘you are always in my heart’ sentiment in the Mother’s Day set and have a little of the stencil peeking out from behind a die cut using the large heart from Hearts & Spoons. This time I inked the stencil with a soft peach to match the colours in these lovely Chickaniddy papers :) So as not to cover up too much of the heart I white heat embossed the sentiment onto vellum and wrapped it around the panel. The paper strips are accented with stickers from the same collection and some Kelly Purkey sequins which are a great colour match. Finally the panel is mounted onto Sea Glass card which again tones in beautifully. 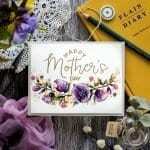 Wow – wonderful mother’s day card! So pretty and soft. Love the sentiments on these cards, thanks for some awesome ideas! 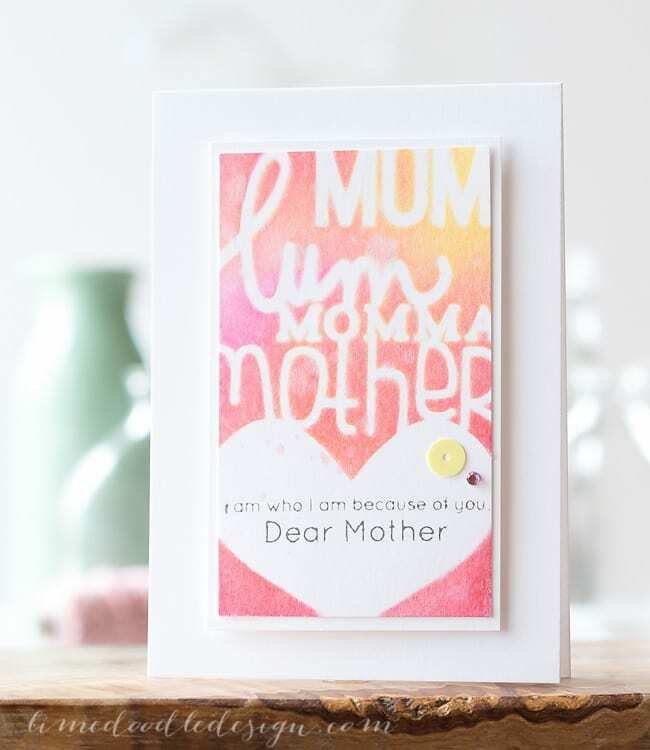 I can understand the happy squeaks for this fabulous release – lots of wonderful goodies that inspired such gorgeous cards as yours! Thanks for sharing s uch beautiful cards. muy hermosas las dos versiones,ese color melocoton es estupendo en tu tarjeta,muy bellas,..
Beautiful card…love the heart window! I love the colors of,your cards!! !